Paying $500 or more for Bay State cans in top condition. interested in buying vintage Bay State Ale and Beer Cans! If you’re selling please contact me. Bay State Beer and Ale Cans Wanted! Bay State Beer and Ale was produced by Commonwealth Brewing Company of Springfield, Massachusetts. These brews were put into beer cans for only a short period of time, which makes them quite rare in top condition. 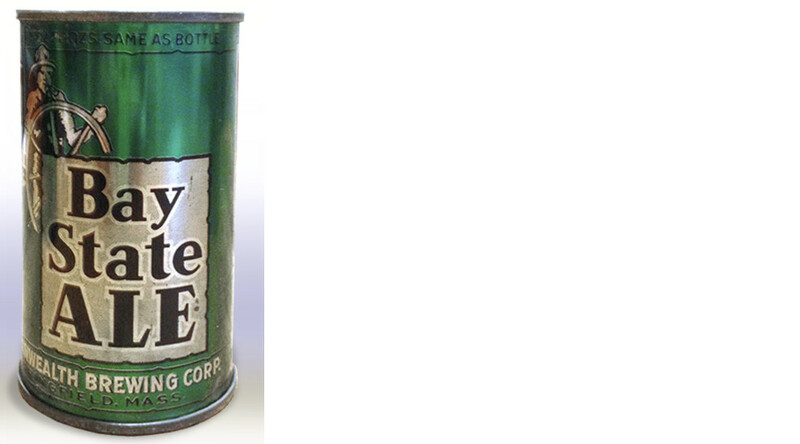 Bay State Ale and Beer were some of the earliest brands to be packaged into beer cans from National Can Company, the first flat top competitor for the American Can Company Keglined cans in 1935. National’s ‘Double-lined’ beer cans hit the market in 1936. There are 3 variations each of both the Ale and Beer, making a total of 6 different labels known. Because Commonwealth was in business for a relatively short time (1933-1945), most of which was during the Depression, not a lot of advertising exists from them. 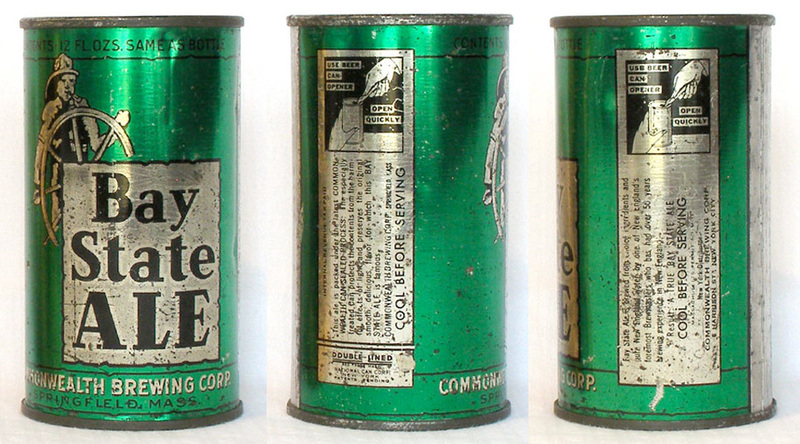 The most common items advertise Bay State Ale and Beer, likely the company’s largest selling and longest-lived brand; they include beer cans, bottles, and matchbooks. The only other brand produced by Commonwealth in beer cans is New England Beer and Ale. New England Beer and Ale advertising consists of bottles and newspaper ads. Brands produced by Commonwealth but not canned include Oxford Club Ale, Dartmouth Ale, Finnegan’s Ale, Handy’s Cream Ale, Old India Pale Ale, Stubby Ale, and Victory Ale. Of these, Oxford Club has the most collectibles: a 13-inch beer tray and smaller tip tray, matchbooks, foam scrapers and other items. Advertising for the other labels consists mostly of bottles.